Red Forest affected by radioactivity? 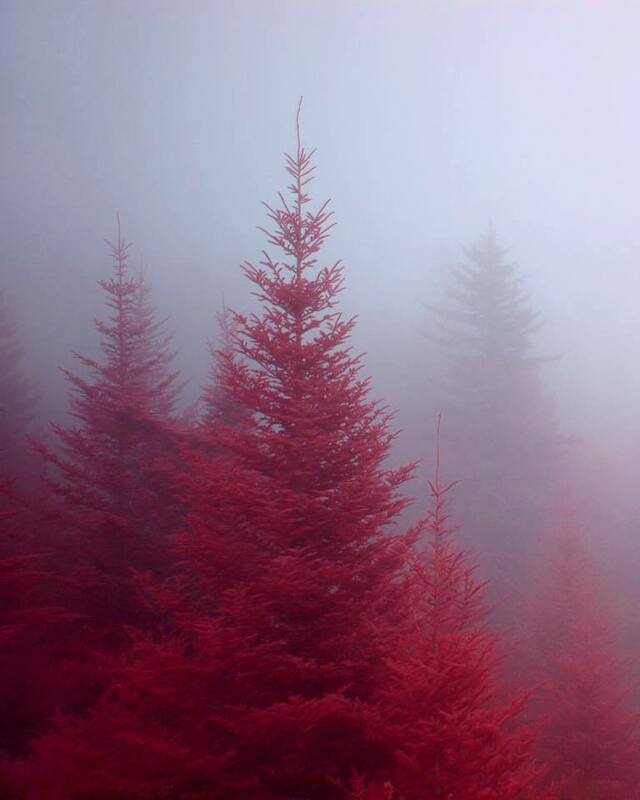 Is this a photo of amazing Red Forest affected by radioactivity like some picture accounts claim? The forest is not red because of radioactivity. In fact, it’s not even red. This photo, ‘Fog in the Firs’ was taken by oldoinyo at Blue Ridge Parkway, Transylvania County, NC, USA (2008). The photographer used false-color filter from two exposures.